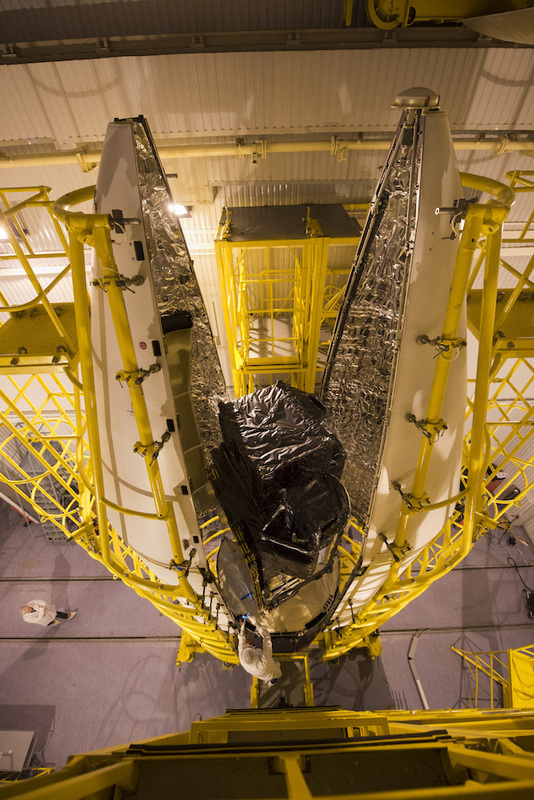 Europe’s Sentinel 3A satellite, designed for real-time surveys of the world’s oceans, ice sheets, lakes and rivers, is attached to a decommissioned Russian nuclear missile for launch Tuesday. 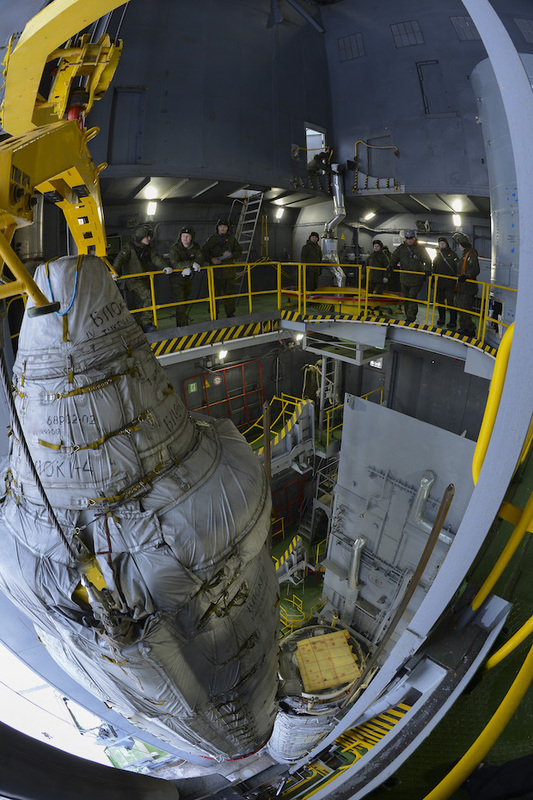 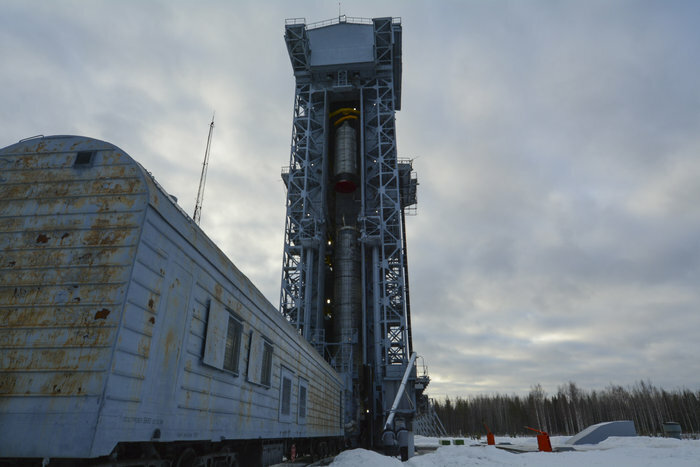 The 2,526-pound (1,146-kilogram) spacecraft is fitted inside the nose cone of a 95-foot-tall (29-meter) Rockot launcher at Complex 133 at the Plesetsk Cosmodrome, a military facility in Russia’s Far North. 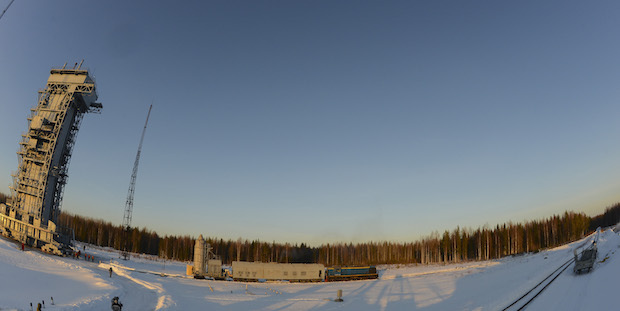 The Rockot’s booster stages come from a retired SS-19 missile originally developed to deliver nuclear warheads to targets around the world. 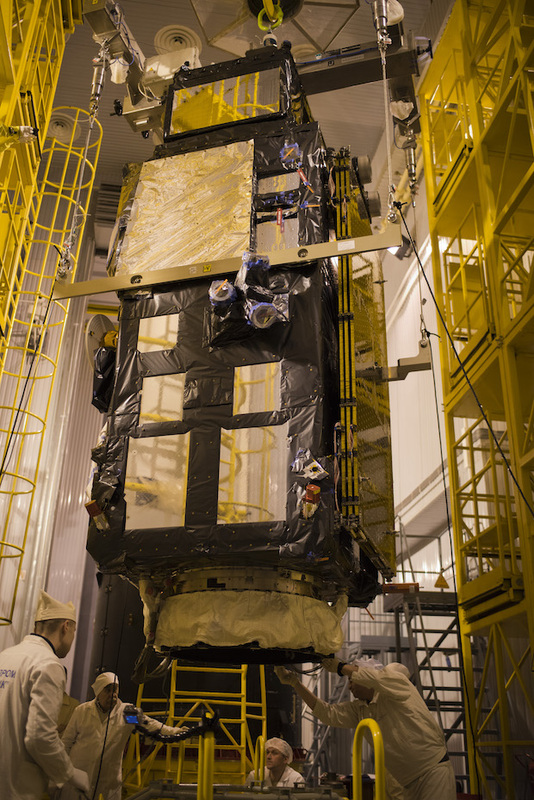 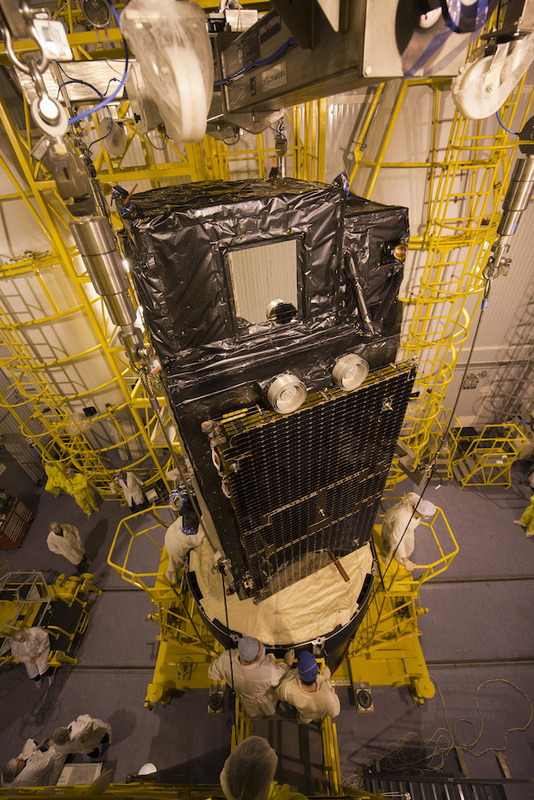 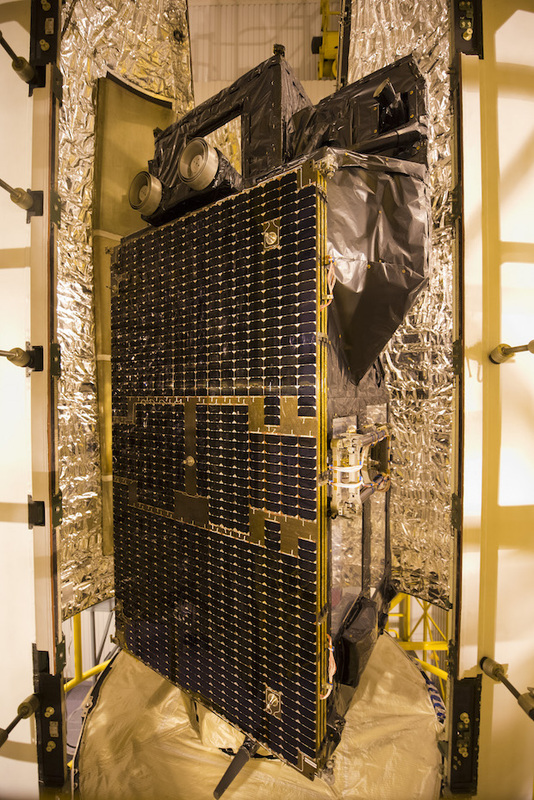 A Breeze KM upper stage fastened atop the Rockot will deploy Sentinel 3A into orbit for the European Space Agency and the European Commission, beginning a mission of at least seven years to measure sea level changes, ice sheets, ocean and land color, and marine biology. 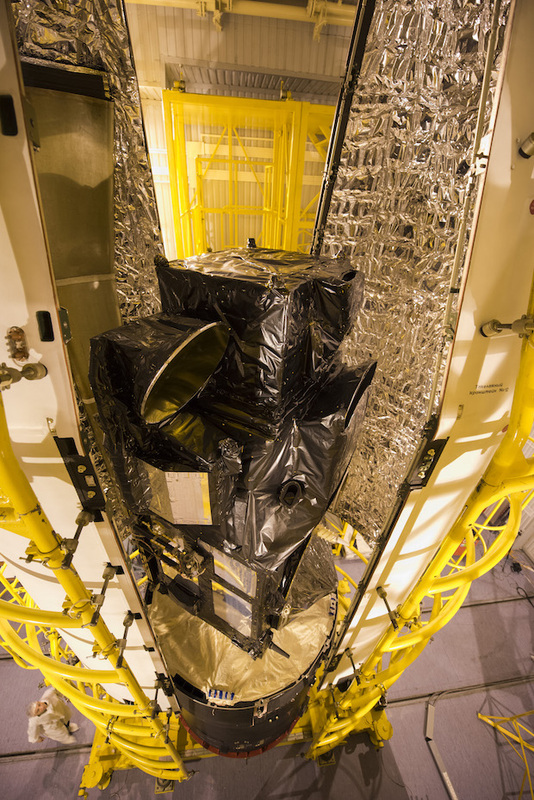 The photos below chronicle Sentinel 3A’s attachment Feb. 7 to the Rockot launcher’s Breeze KM upper stage, which will fire its main engine twice to inject the satellite into a 500-mile-high (800-kilometer) orbit. 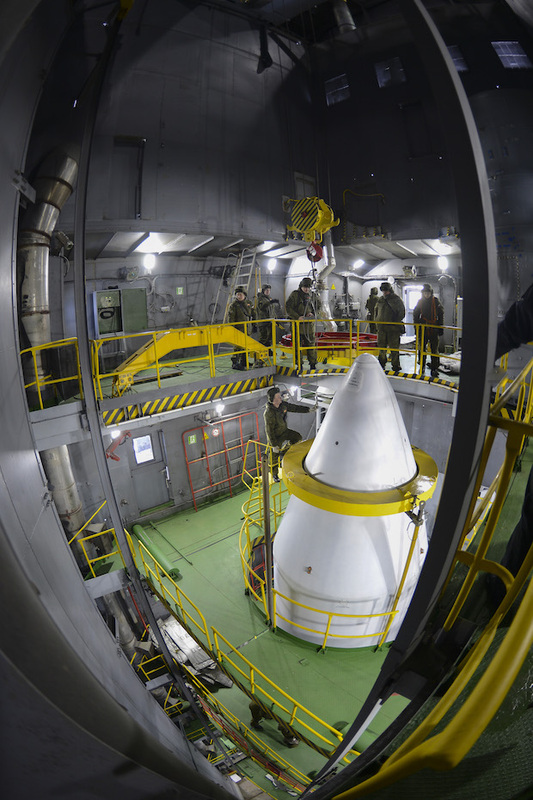 The images also show the satellite’s encapsulation inside the Rockot’s payload fairing Feb. 8, the signatures of ground teams on the exterior of the nose shroud, and the transfer of the spacecraft composite to the launch pad via locomotive Feb. 12. 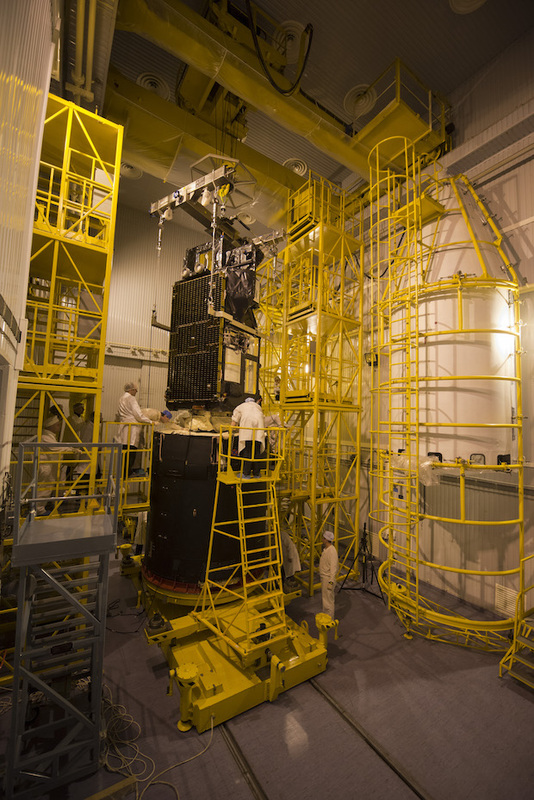 The payload package was then hoisted into the mobile gantry surrounding the Rockot booster and attached to the rocket’s second stage. 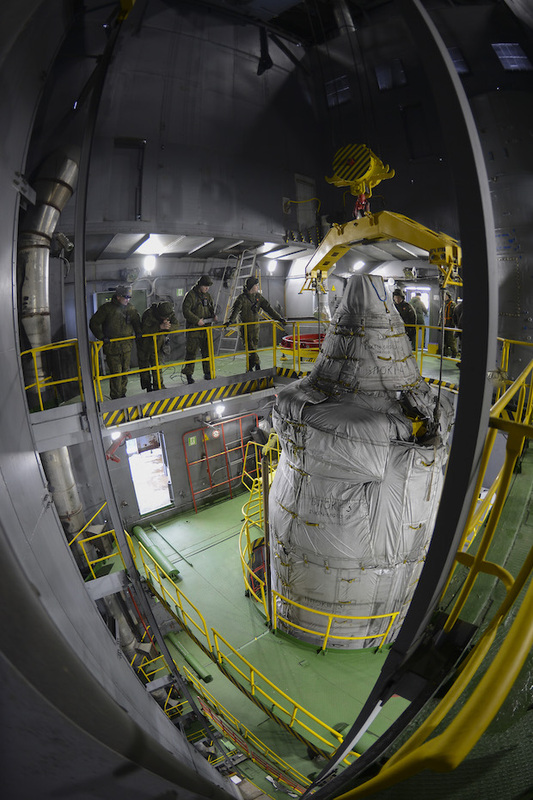 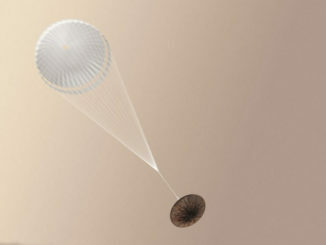 Russian teams next removed a layer of thermal insulation from the payload fairing for liftoff. 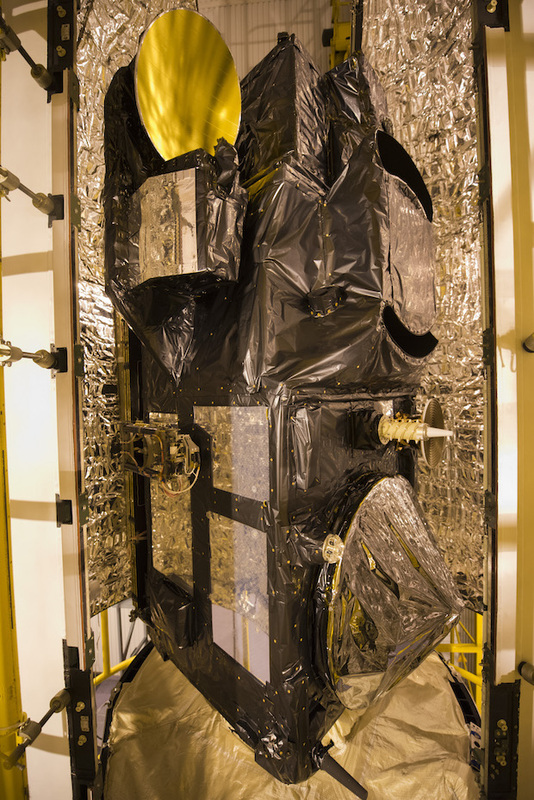 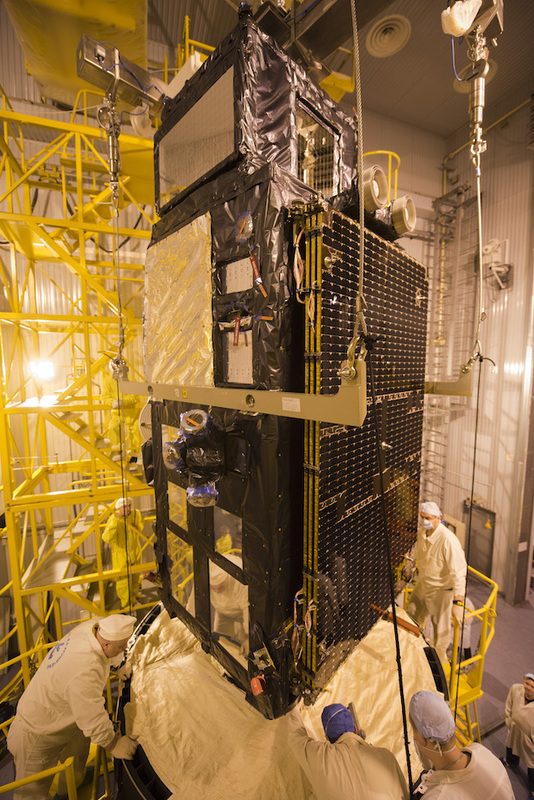 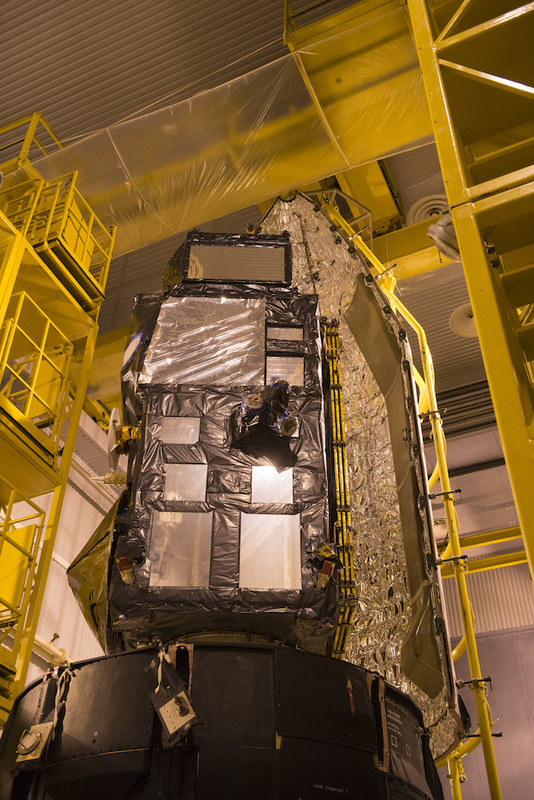 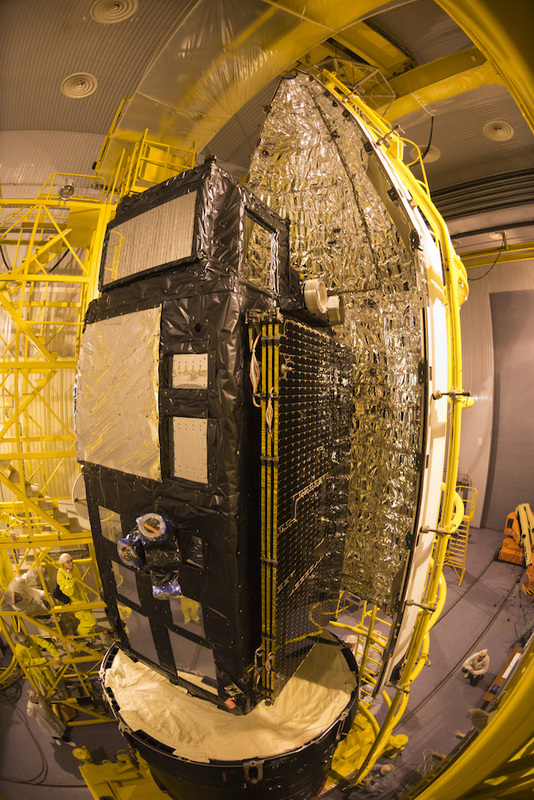 The payload fairing protects Sentinel 3A during the final steps of its launch campaign, and it shields the satellite from contaminants and aerodynamic pressure during the early phases of launch. 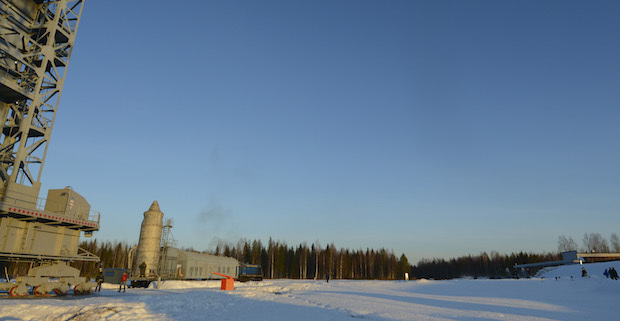 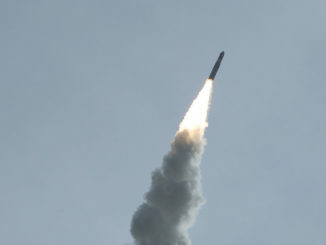 The two halves of the nose cone will jettison from the rocket once it reaches space about three minutes into the mission. 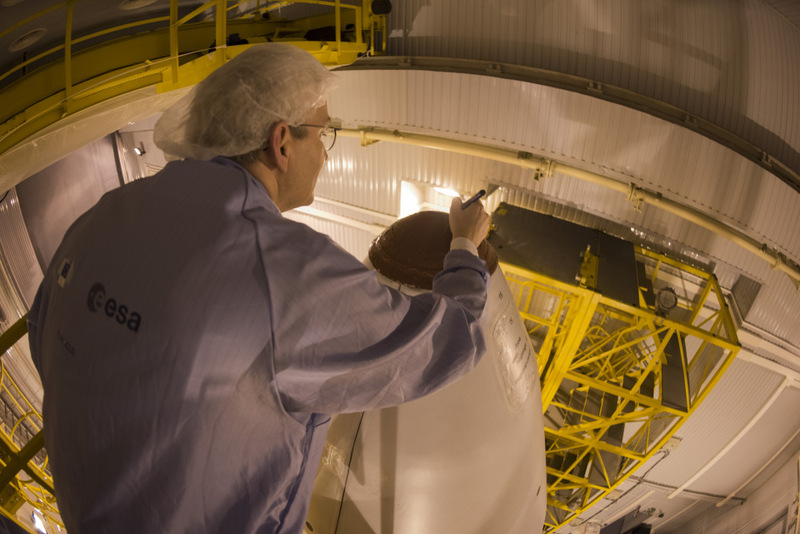 Ground crews from Russia, the European Space Agency and satellite builder Thales Alenia Space are participating in the Sentinel 3A launch campaign. 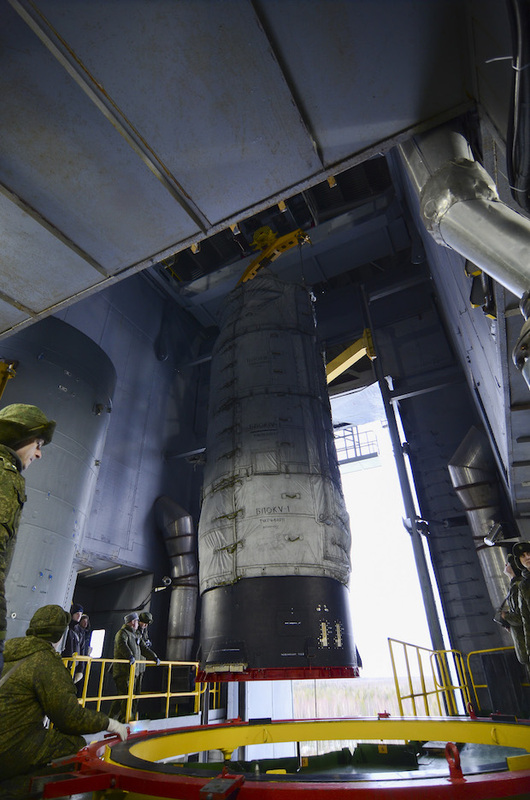 The Russian military’s strategic missile forces will oversee the Rockot’s final launch preparations. 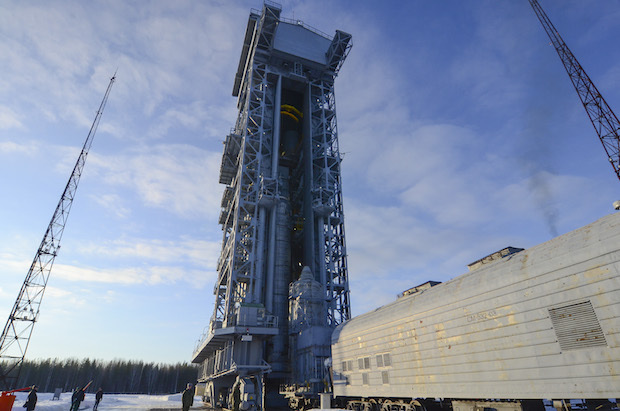 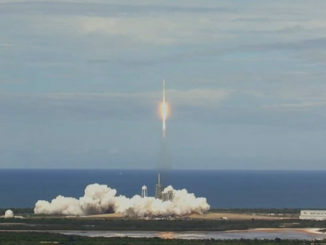 Liftoff is set for 1757 GMT (12:57 p.m. EST) Tuesday.